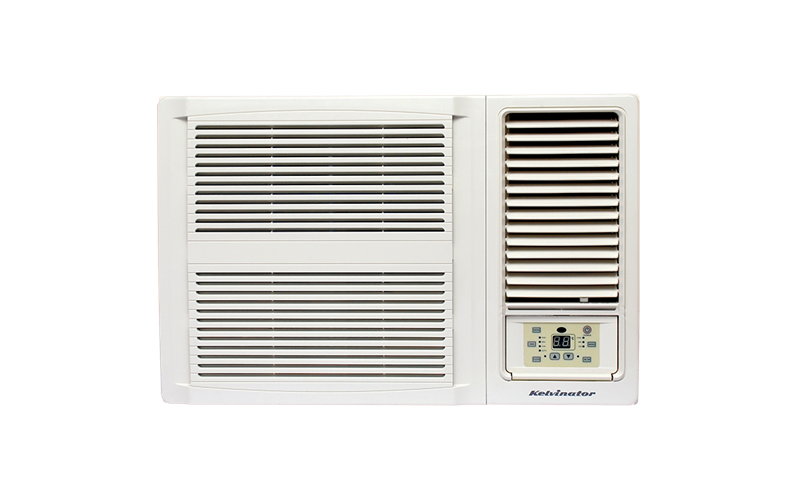 Window Wall Cooling Only Air Conditioner 5.3kW is rated 4.3 out of 5 by 6. Rated 4 out of 5 by jjjj from Air swing louvers need improving Only had the unit for several weeks, but it cools nicely on hot Adelaide summer days. It is not loud enough to bother me and is certainly quieter than the old Kelvinator unit it replaced. My main issue with the unit is that the vertical louvers achieve very little in terms of directing the air to the left or right of the unit because there are only two of them and they spaced too far apart meaning that a lot of the air blowing out of the unit just bypasses them and so most air is sent directly in front of the unit and the Swing function is almost useless. Another minor issue is that the power cord is quite short so you do need to have a power point close by. Rated 5 out of 5 by sal333 from Powerful cooling! Bought this during the hottest month. Love it! Cooled down the whole kitchen/dining area very quickly. Rated 4 out of 5 by Essie01 from Does the job We have had the opportunity to use the air conditioner a few times now. So happy with the overall performance, it definitely cools quicker than I was expecting. My only complaint would be the noise, whilst it is a soft smooth tone, it is loud enough that we have to turn the TV up a few decibels also. I think I was expecting quieter, but, it cools better than I thought, so that is the overall winner right there. Rated 5 out of 5 by Neats from cools the house down brilliantly Only used a couple of times but chills almost the entire house down brilliantly. Very happy with this unit.